When it comes to Naomie Harris red carpet style, she almost never disappoints which is why she is a favorite. The actress hit the blue carpet this evening(December 4th) in London for the 'Mowgli: Legend Of The Jungle' Netflix special screening at the Curzon Mayfair. 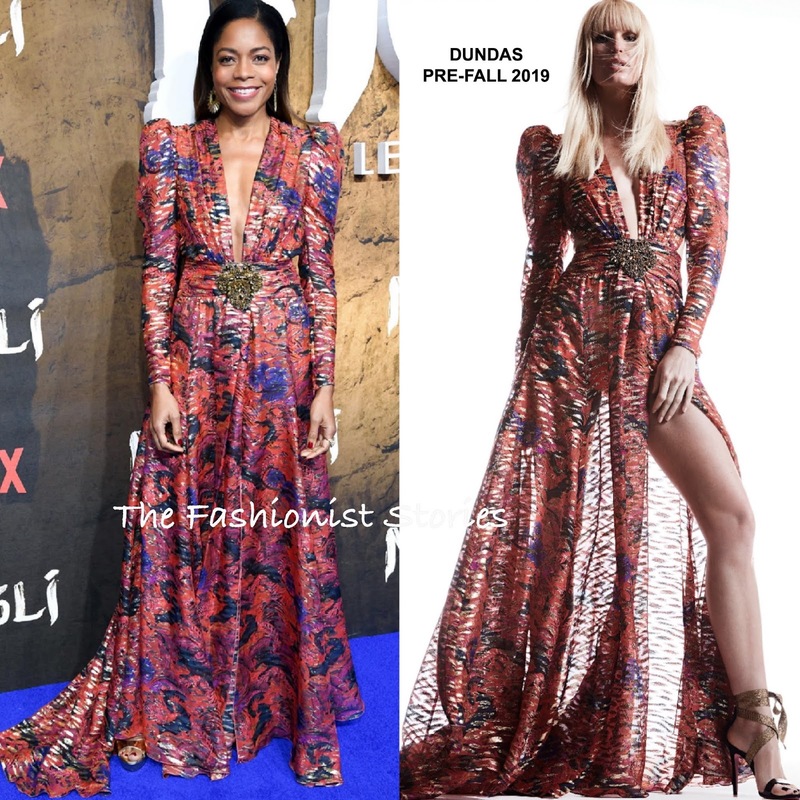 Naomi stood out beautifully wearing a DUNDAS PRE-FALL 2019 colorful floral metallic gown, featuring on trend leg-o-mutton sleeves, a plunging neckline, an embellished brooch on the waist and a split detail. The print is eye-catching and Naomie's simple but flawless beauty look allowed this piece to take center stage. Gold jewelry and sandals rounded out her winning look.